Donat was born in Withington, near Manchester in Lancashire, the fourth and youngest son of Ernst Emil Donath, a civil engineer of German origin from Prussian Poland, and his wife Rose Alice Green. He was of English, Polish, German, and French descent and was educated at Manchester's Central High School for Boys. He took elocution lessons with James Bernard. Donat made his first stage appearance in 1921, at the age of 16, with Henry Baynton's company at the Prince of Wales Theatre, Birmingham, playing Lucius in Julius Caesar. His real break came in 1924 when he joined the company of Shakespearean actor Sir Frank Benson, where he stayed for four years. Donat married Ella Annesley Voysey (1903–1994) in 1929; the couple had three children together but divorced in 1946. 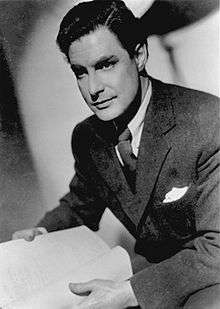 "The British cinema's one undisputed romantic leading man in the 1930s was Robert Donat", wrote Jeffrey Richards in his book The Age of the Dream Palace. "The image he projected was that of the romantic idealist, often with a dash of the gentleman adventurer." Initially, around 1930 and 1931, he was known as "screen test" Donat in the industry because of his many unsuccessful auditions for film producers. MGM's producer Irving Thalberg spotted him on the London stage in Precious Bane, and Donat was offered a part in the American studio's Smilin' Through (1932). He rejected this offer. Instead, Donat made his film debut in a quota quickie Men of Tomorrow (1932) for Alexander Korda's London Films. An abysmal screen test for Korda had ended with Donat's laughter. Reputedly, Korda in response exclaimed: "That's the most natural laugh I have ever heard in my life. What acting! Put him under contract immediately." Donat's first great screen success soon followed in his fourth film. This was as Thomas Culpeper in The Private Life of Henry VIII (1933) for the same producer. Korda loaned him to Edward Small for the only film Donat made in Hollywood, The Count of Monte Cristo (1934). He did not care for the film colony and, despite being offered the lead role in Captain Blood (1935), returned to Britain to begin work on Alfred Hitchcock's The 39 Steps (1935) opposite Madeleine Carroll. His performance was well-received: "Mr Donat, who has never been very well served in the cinema until now, suddenly blossoms out into a romantic comedian of no mean order", wrote the film critic C. A. Lejeune in The Observer at the time of the film's release. Lejeune observed that he possessed "an easy confident humour that has always been regarded as the perquisite of the American male star. For the first time on our screen we have the British equivalent of a Clark Gable or a Ronald Colman, playing in a purely national idiom. Mr Donat, himself, I fancy, is hardly conscious of it, which is all to the good." Hitchcock wanted Donat for the role of the Detective in Sabotage (1936), but this time Korda refused to release him. In 1936 Donat took on the management of the Queen's Theatre in Shaftesbury Avenue where he produced Red Night by J. L. Hodson. He made two further films under his contract with Korda, The Ghost Goes West (1935), and Knight Without Armour (1937). Korda became committed to the latter project because of Donat's indecision. Madeleine Carroll had read the James Hilton novel while shooting The 39 Steps, and had persuaded Donat that it could be a good second film for them to star in together. Donat acquired the rights and passed them on to Korda, although by now Carroll was unavailable. His eventual co-star, Marlene Dietrich, was the source of much attention when she arrived in Britain, in which Donat was involved, and this was enough for him to suffer a nervous collapse a few days into the shooting schedule. Donat entered a nursing home. The production delay caused by Donat's asthma led to talk of replacing him. Dietrich, contracted by Korda for $450,000, threatened to leave the project if this happened, and production was halted for two months, until Donat was able to return to work. In 1938, Donat signed a contract with MGM British for £150,000 with a commitment to making 6 films. In The Citadel (1938), he played Andrew Manson, a newly qualified Scottish doctor, a role for which he received his first Best Actor Oscar nomination. He was a major theatre star. His stage career included performances in Shaw's The Devil's Disciple (1938) and Captain Shotover in a new staging of Heartbreak House (1942). With The Cure for Love (1945) by Walter Greenwood, one of the stage productions he directed, he began his professional association with Renée Asherson, later his second wife. This continued with a production of Much Ado About Nothing (1946) with the couple playing Benedict and Beatrice. Donat lobbied hard for two film roles: he was cast in neither. He wanted to play the Chorus in Olivier's Henry V, but the role went to Leslie Banks, and he longed desperately to be cast against type as Bill Sikes in David Lean's Oliver Twist (1948), but Lean thought him wrong for the part and cast Robert Newton instead. The MGM British contract ended with litigation, and he made only two more films for the company, The Adventures of Tartu (1943), with Valerie Hobson, and Perfect Strangers (1945) with Deborah Kerr. Donat suffered from chronic asthma, which affected his career and limited him to appearing in only twenty films. Donat and Asherson reprised their stage roles in the film version of The Cure for Love (1949). His only film as director, its production was affected by his ill health. The film's soundtrack had to be re-recorded after shooting was completed because Donat's asthma had severely affected his voice. Modestly received by a reviewer in the Monthly Film Bulletin, and described as "pedestrian" by Philip French in 2009, it was a hit in the North. In this film, Donat used his natural Mancunian accent, which his early elocution lessons had attempted to completely suppress. Donat married Asherson, his second wife, in 1953. They later separated, but might have reconciled. He was cast as Thomas Becket in T.S. Eliot's Murder in the Cathedral in Robert Helpmann's production at the Old Vic Theatre in 1952, but although his return to stage was well received, his illness forced him to withdraw during the run. The same reason also caused him to drop out of Hobson's Choice (1954). Scheduled to play Willy Mossop, he was replaced by John Mills. Author David Shipman speculates that Donat's asthma may have been psychosomatic: "His tragedy was that the promise of his early years was never fulfilled and that he was haunted by agonies of doubt and disappointment (which probably were the cause of his chronic asthma)." David Thomson also suggested this explanation, and Donat himself thought that his illness had a 90% basis in his psychology. In a 1980 interview with Barry Norman, his first wife Ella Annesley Voysey (by then known as Ella Hall), said that Donat's asthma was a psychosomatic response to the birth of their daughter. According to her: "Robert was full of fear." Lease of Life (1954), made by Ealing Studios, was his penultimate film in which Donat plays a Vicar who discovers that he has a terminal illness. Donat's final role was the mandarin Yang Cheng in The Inn of the Sixth Happiness (1958). His last spoken words in this film were prophetic, "We shall not see each other again, I think. Farewell." Several months after his death, Donat was nominated for his first Golden Globe and received a National Board of Review Special Citation for his performance. He died on 9 June 1958 aged 53 in London. His biographer Kenneth Barrow writes on the cause of his death: "Perhaps the asthma had weakened him but, in fact, it was discovered he had a brain tumour the size of a duck egg and cerebral thrombosis was certified as the primary cause of death." Donat has a star on the Hollywood Walk of Fame for motion pictures at 6420 Hollywood Blvd. A blue plaque commemorates Donat at 8 Meadway in Hampstead Garden Suburb. His place of birth at 42 Everett Road in Withington is also commemorated by a similar plaque. The actors Peter Donat and Richard Donat are his nephews. ↑ "Notes on Films". The Sunday Herald (Sydney, NSW : 1949–1953). Sydney, NSW: National Library of Australia. 23 July 1950. p. 6 Supplement: Features. Retrieved 7 July 2012. ↑ "illness May Silence Donat's Golden Voice.". The Sunday Herald (Sydney, NSW : 1949–1953). Sydney, NSW: National Library of Australia. 2 August 1953. p. 14. Retrieved 7 July 2012. ↑ Barrow, Kenneth (1985). Mr Chips: The Life of Robert Donat, London: Methuen, p. 191. ISBN 0-413-58070-9. ↑ "DONAT, ROBERT (1905–1958)". English Heritage. Retrieved 5 August 2012. ↑ "Hello Mr Chips – plaque marks home of Oscar winner Robert Donat". MEN Media. Retrieved 7 August 2013.